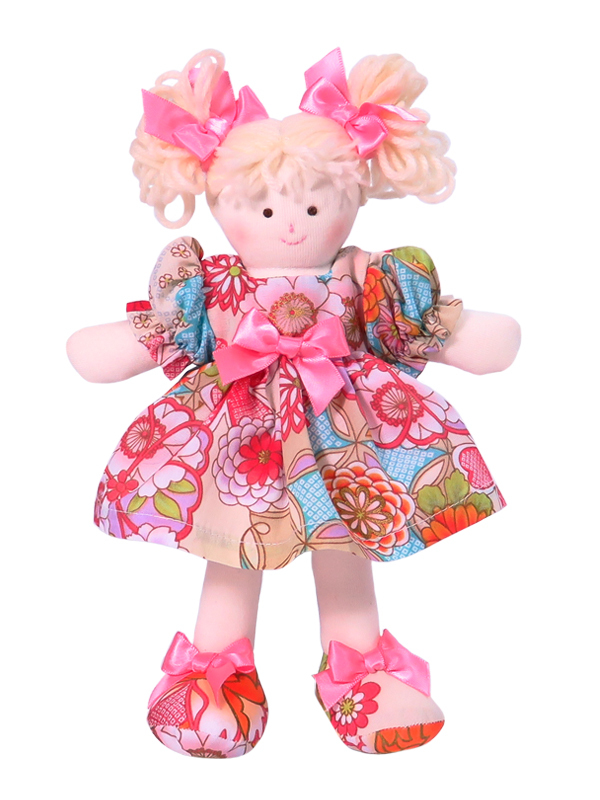 Mini Ava 21cm Rag Doll wears a pretty floral dress with matching bloomers and shoes. Pink satin bows decorate her cream wool hair. Her sweet face is hand embroidered, she has brown eyes and is packaged in a gift box. Clothing is removable. 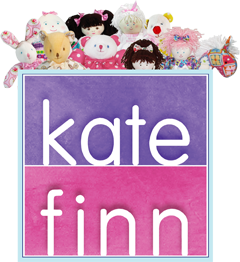 Mini Ava 21cm Rag Doll is an heirloom quality Kate Finn original created for those of you who appreciate the joy of collecting and giving beautiful gifts! The rag dolls for sale at Kate Finn are heirloom products that are primarily made to be played with ie Mini Ava 21cm Rag Doll – so safe, soft and cuddly with their perfectly sewn dresses, petticoats and pinafores in an amazing variety of truly lovely retro, modern and traditional fabrics. Their beauty enhances the décor of any child’s nursery. 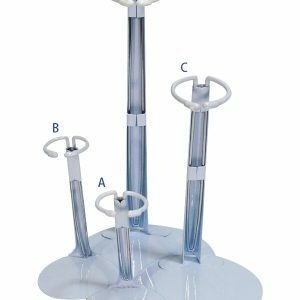 These items are an ideal alternative to our soft baby toys or the more delicate porcelain collectibles.